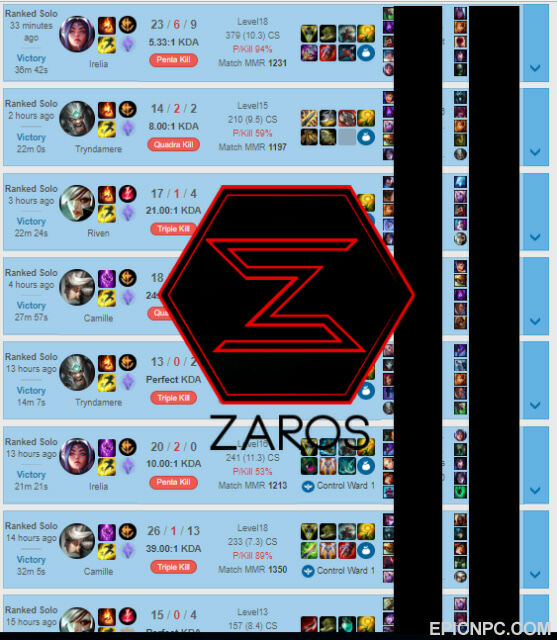 Zaros Boosting ⭐Exceptional ELO Boosting⚡All Servers Up to Challenger! 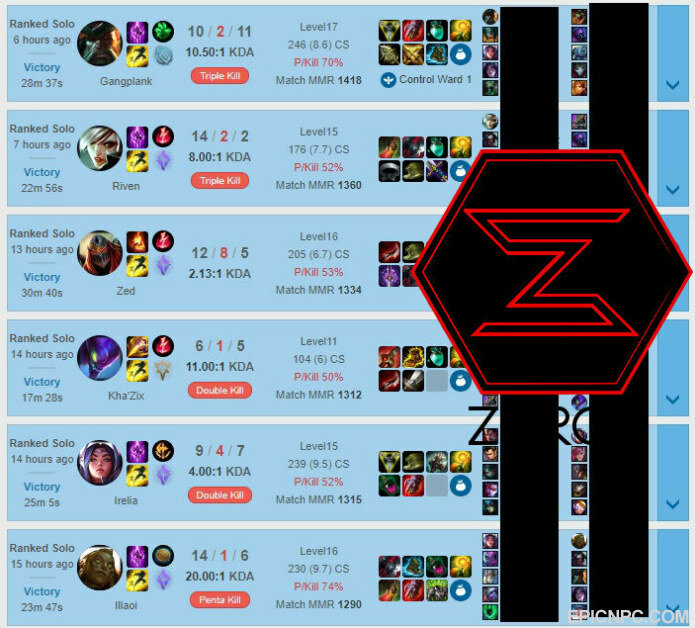 We strive to provide the highest quality of League Of Legends ELO Boosting while maintaining exceptional prices. We're hoping to achieve that by applying strict policies for the boosters,while paying them a big cut to be satisfied in working with us. Our Goal is to provide all the players the best boosting service in terms of quality,pricing and professionalism. We handpick the very best boosters,we don't simply accept anyone that applies to work with us. 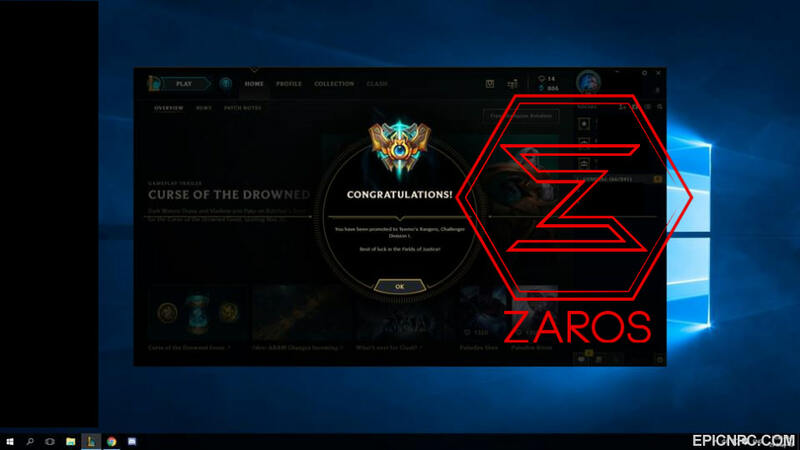 We consist from 2 members who have been in the boosting scene in LoL and RS for years now,so we guarantee we're one of the most experienced companies out there. 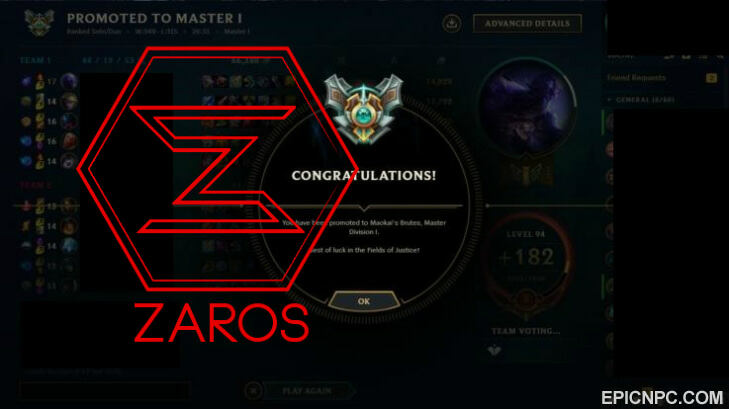 we will hire ONLY CHALLENGER AND MASTER BOOSTERS who have been boosting for a while! We do not recruit or allow unreliable players on your account! Our starting and finishing times will be really fast. We aim towards quality in all areas, which will always be guaranteed to you! We won't take your money and vanish,cause this is not what we established the company for,we established it to be a figure in the services scene in the online games (We won't be in League only). We will always use a leading industry VPN and offline mode to keep your order secure and private& if something happens to your account cause of a service that you have received from us,we believe that would be an extremely rare case,but if that should happen we will fully compensate for your loss if proven that we're the cause. We will be 24/7 available on discord & live chat on site to support both customers and boosters. - The person that is leveling your account is located in? worldwide,we will provide you with a booster that plays from the same region as you do to make sure you're account is as safe as possible with us . - They are using a VPN/Proxy to Boost? Yes,all our boosters use very premium Virtual Private Network services. ---- If yes, how much time should the customer wait after the booster logs out before they can log in? They should inform us on the website or discord 2 hours beforehand. - If the account gets banned or rewards are removed during Boosting or right after (within 2 days),We will fully compensate you by either giving you a full refund+200% of the value of the order or giving you an account. One of our ongoing boosts. Challenger & Master boosters ready to start your order! Visit us by clicking the word below.